Believe it or not the Wholesale Clubs are one of the most POPULAR places to shop on Black Friday. CostCo has finally released their Black Friday Ad. Check it out and let us know what you'll be waiting in line for. Stores will open at 9am local time. In addition, you can score these deals through November 29th. 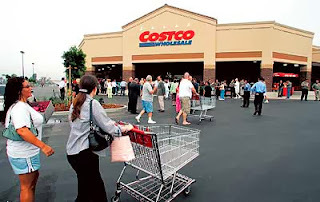 Please note: There will be exclusive Black Friday deals on CostCo online as well. For more of the latest deals and greatest steals,stay tuned to The Coupon Centsation on Facebook.